What Is VoIP and How Do I Get Started? Voice over Internet Protocol (VoIP) is an amazing technology that lets you make phone calls over the internet, and cut the cost of your traditional phone plan. The term VoIP stands for Voice over Internet Protocol. Many people who use VoIP don’t even realize that they’re using the technology. The basic definition that makes a service VoIP is that it transmits traditional phone-like (voice) conversations over an internet connection. Since many different technologies can accomplish this, VoIP takes many different forms. Here’s a look at some of the services and hardware that provide VoIP solutions. In a corporate environment, the most popular method of using VoIP is with a physical phone. There are ways to make VoIP technology work with either a traditional analog phone or with what’s known as a VoIP or digital phone. Since voice transmission in VoIP takes place over the internet, a normal phone by itself won’t work. However, there’s a special adapter available called an Analog Telephone Adapter (ATA) that will convert an analog phone signal into a digital one that can be transmitted over the internet. ATA adapters usually work with both an analog phone (with a traditional RJ-11 phone jack), or a VoIP phone (with an ethernet RJ-45 jack). The signal travels from the analog phone into the RJ-11 port of the ATA adapter. It then travels from the ATA adapter to the internet-enabled ethernet port. 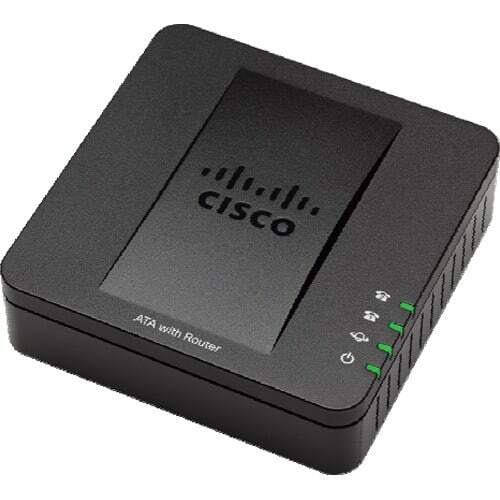 The ATA adapter communicates over the internet to a VoIP service. The VoIP service handles all voice communications back and forth between the internet and your phone. This type of connection requires that you pay for a VoIP service as a “middleman”. But if you want to keep using the traditional hardware phone to make your internet phone calls, it may be worth the cost. The nice thing about purchasing a VoIP phone is that you don’t need to use an ATA adapter for the connection to the internet. You simply plug the VoIP phone directly into the internet-enabled ethernet port. The phone will communicate over the internet to the VoIP service you’ve signed up for. Digital phones can get expensive if you’re filling an office with them, but many VoIP service providers will give steep discounts on phone hardware if you sign up for their service. Beyond standard ATA adapters, there are a number of companies offering hardware you can plug into the ethernet jack in your home to convert your standard phone into a VoIP capable phone. These are typically cloud-based solutions where the hardware comes with a web portal you can use to screen calls, check voicemails, and set up integrations with other services. Vonage: Vonage is a hardware device you plug directly into your home internet router. Then, all you have to do is plug your home phone into the Vonage Box to hear a dial tone and start making calls over the internet. Your home phone behaves just like it always has, with the exception that you don’t need to pay a phone company for the privilege of making calls. Plans are also very cheap; from $10 to $15 a month, depending if you want to make international phone calls. Ooma: Ooma’s subscription-free approach is interesting. For a one time price of $99 for the device, you can make free phone calls over the internet. It works like Vonage, where you plug the device into your internet router, and then plug your phone into the device. One of the biggest benefits of Ooma is that it integrates with IFTTT so that you can automate smart home devices or get alerts on your mobile phone when you receive calls from certain phone numbers. 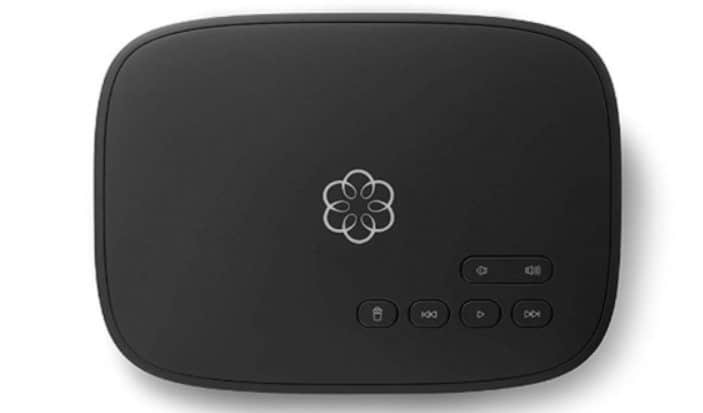 MagicJack: This device also plugs into your internet router and your phone to make your analog home phone VoIP capable. What makes MagicJack unique is that instead of plugging your phone into it, you can plug it into your computer. Using the MagicJack desktop application, you can make phone calls directly from your computer using a headset and microphone. It’s cheaper than Vonage — at $39 per year — and you also get a free group conferencing phone number as well. There are lots of other hardware-based VoIP solutions for home users, but these are the three most common devices you’ll find on the shelves at your nearby electronics store. The cheapest way to go when it comes to using VoIP is hooking up a headset with a microphone to your computer. Doing this requires VoIP software that can transmit your voice conversation to recipients who are using the same software. Also, many VoIP applications also have the capability of making standard phone calls. Many VoIP apps also include a video conferencing feature. 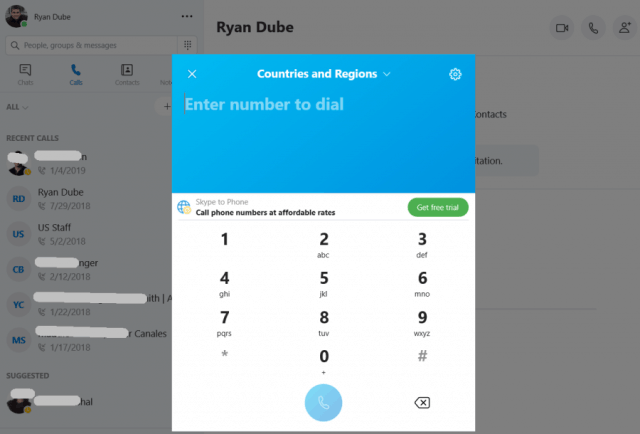 Skype: Skype features include video chat, instant messaging, and even making regular phone calls (both domestic and international) over the internet. Skype is completely free to use, but making standard phone calls may include a low per-minute fee. Jabber: This service has been gaining ground in the corporate world in recent years. Jabber provides user-to-user calls, plus voicemail sent directly to your email in MP3 format. It also includes a feature-packed conferencing service and phone features you’ve come to expect from VoIP like call forwarding, group chats, and screen sharing. Google Hangouts: Hangouts is very popular among independent or small business users because of how many features it offers for free. It includes text, voice, and video chatting not only with individuals but with groups as well. There are also mobile apps to use Hangouts from an Android or iOS device. You can make standard phone calls, but you’ll need to pay a low rate per call. 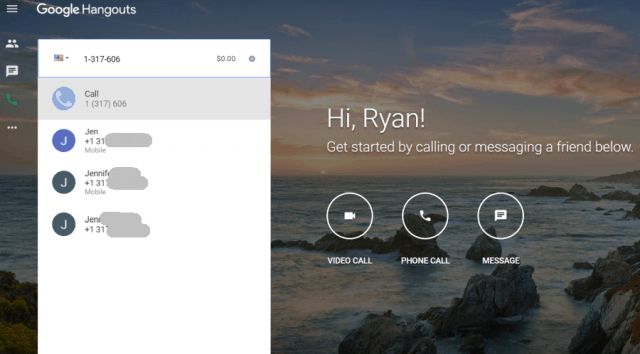 Google Voice: For individual users looking to save a fortune on phone calls, you can’t beat Google Voice. There is no video conferencing or texting feature, but it does offer free domestic calls from either your computer or your mobile device. You get a free phone number, or you can port your existing phone number over to the Google Voice service. Incoming voicemails get transcribed and left in your inbox in both text and audio formats. DialPad: Another cloud VoIP service called DialPad offers phone, messaging, and video conferencing services from any device. There is no free plan, but paid plans are fairly cheap, from $20 to $35 per user depending on the size of your organization. It integrates with Google Suite, Office 365, and a number of other enterprise applications. There are a lot of benefits to dropping your phone service plan and switching to an internet-based solution. The most prominent is that you only have to pay one bill, but you can still use your home phones. Remove an expensive phone bill from your monthly budget. Offers many more free services like conferencing, voicemail, call forwarding, and text-to-voice translation. Ability to port existing phone number with many of these cloud services. Many options are compatible with mobile phones. Integrates with other cloud services you may already use. However, there are also some drawbacks to switching to VoIP. You need to be aware of these before you take the leap and drop your traditional phone line. Call quality can suffer if other devices in your home are streaming. Calls can get dropped if you have a poor internet connection. When the internet goes down, you can’t make any phone calls. Some hardware solutions are limited to a single phone per VoIP box. If you weigh the pros and cons and decide that VoIP may be perfect for you, any of the services listed above may be the ideal solution for your home or business.